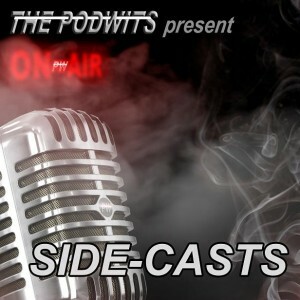 Dion and contributor J. Blake are back for what is probably their BIGGEST (and LONGEST) Side Cast yet! After an extended intro of probably the duo’s worst college drinking story, they ease into the Christmas Spirit by way of Whittier Alaska, the Krampus (Saint Nick‘s long-lost brother), and the posthumously released Phil Hartman animated Christmas movie. Nothing is off topic in this all-out extravaganza! So get the Eggnog (or your Bailey’s), test those long strands of lights, trim that Christmas tree (yes, none of this ‘holiday’ tree crap), and listen to the boys lament about their favorite television specials, music and films that help usher in the Christmas season. Here is the 2010 Argos Christmas Commercial featuring a CGI-ed Bing Crosby that rubbed Dion the wrong way. Here is the AMAZINGLY AWESOME commercial for the British Channel More4, for the new “Stanley Kubrick Season“. It is perfect in EVERY cinematic detail!!! Look VERY CLOSELY!!! Dion misspoke, it is Buster and Chauncey’s Silent NIGHT, not Christmas.